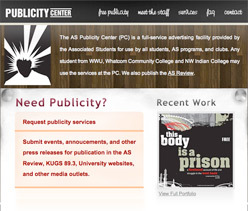 The AS Publicity Center provides a wide variety of design, printing, publishing, and other publicity services to the students at WWU. 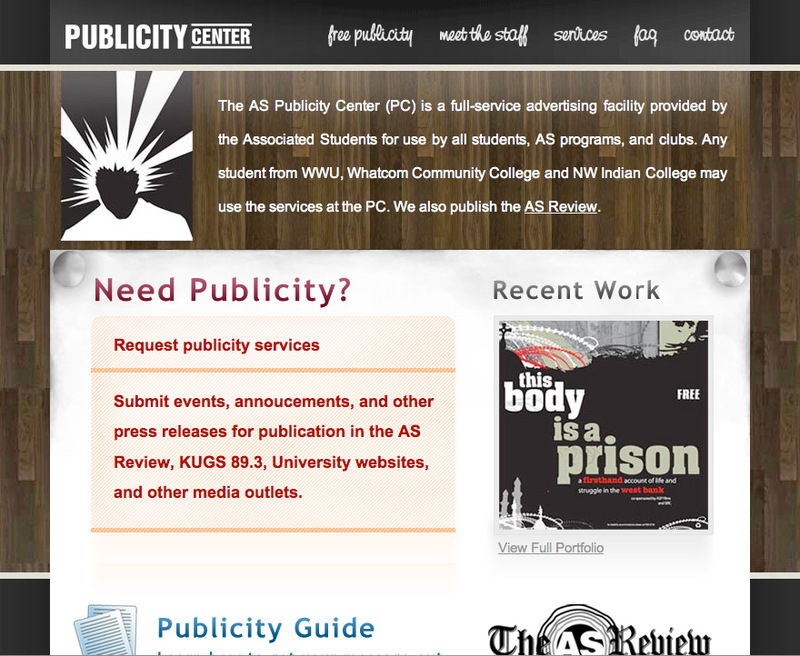 This website iss meant to be simple and creative in such a way that the PC could easily show off the design work they produce. The website is also designed to allow customers to fill out online orders. Much credit goes out to Tyson Rosage of Breaker Design and UMI for developing the initial design concept.